Image: Michael Buckner/Variety, James Veysey/Shutterstock. Oprah Winfrey is racking up the big wins this week. Just a few days ago, reports of Winfrey’s life-changing donations to help Puerto Ricans recovering from Hurrican Maria caught our attention. 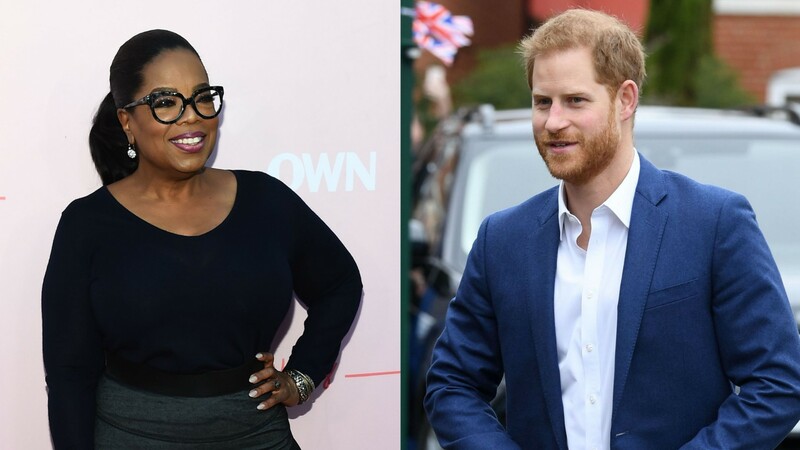 Now, we’re all about another excellent project of Winfrey’s: collaborating with Prince Harry for a mental health television series for Apple TV+. Details about this exciting collaboration are few and far between, but what we know so far about the project already has us eager to watch. The statement continues, elaborating on what the documentaries will dive into in regard to mental health — an issue that Harry and Meghan have both passionately spoken about in the past and done charitable work for in the past. The statement on Harry and Meghan’s Instagram included a comment directly from Harry, who opened up about why this project was important to him. “I truly believe that good mental health – mental fitness – is the key to powerful leadership, productive communities and a purpose-driven self. It is a huge responsibility to get this right as we bring you the facts, the science and the awareness of a subject that is so relevant during these times,” he stated. It’s unclear how much of a role Meghan might have in this project, although we can’t imagine why she wouldn’t be involved, especially considering she will likely be back from maternity leave once production begins on this series. Add to this the fact that she’d be working alongside her husband and her dear friend, Winfrey, and we think it’d be a win for everyone if Meghan got on board.